Hit reality TV show The Only Way of Essex has filmed the first two episodes of series 24 on Koh Samui in Thailand. Featuring stars including Chloe Sims and Pete Wickes, the opening episode will be shown on March 17 on ITVBe. Tourism Thailand said that during filming on the island from March 5 to 13, the cast were hanging out at luxury hotels, on the beach, taking boat trips, doing yoga and eating local food. 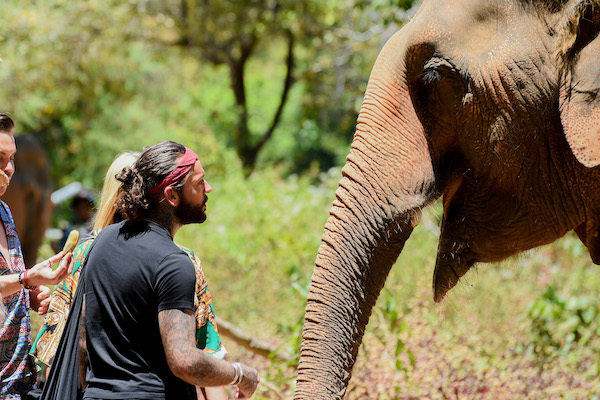 The programme also includes a 4x4 jungle trip and features the new elephant welfare centre, the Samui Elephant Sanctuary. Tourism Thailand UK PR manager Joanna Cooke, who helped co-ordinate the project, said: "This has been a really exciting project to work on and a great opportunity to showcase Thailand on prime time television to an engaged audience. Not only is each episode of TOWIE watched by over 1.2 million viewers but the cast, collectively, have 20 million+ followers across social media. Overall this is an excellent opportunity to work with multiple celebrity influencers as well as gain huge TV exposure, plus the massive press coverage generated from the trip and show itself." Fans have been able to follow the cast's adventures on social media using #TOWIEThailand.